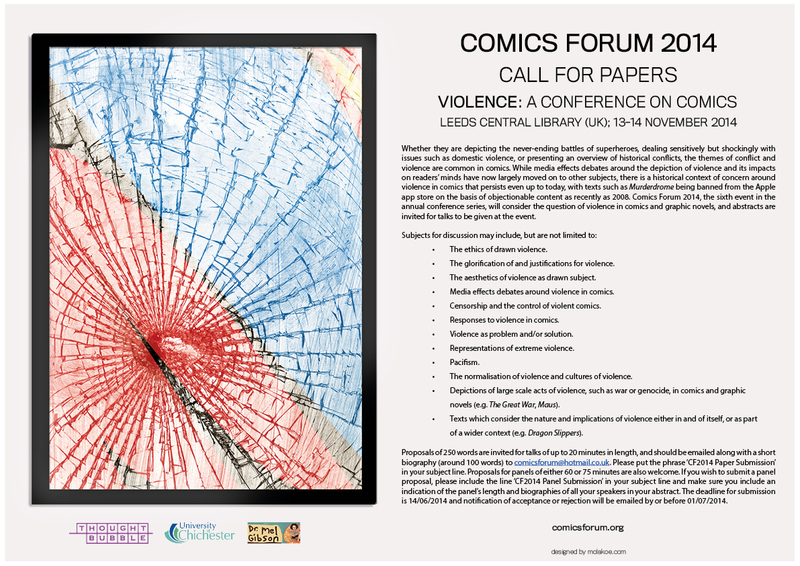 This year, Comics Forum’s annual conference will take a serious look at the subject of violence in comics. The call for papers is out today (click the link above for a PDF) and the conference page on the website is online here. This page will be updated as details are announced so please check there for the latest information. The event will run on the 13th and 14th of November as part of this year’s Thought Bubble sequential art festival, and will be hosted by Leeds Central Library.